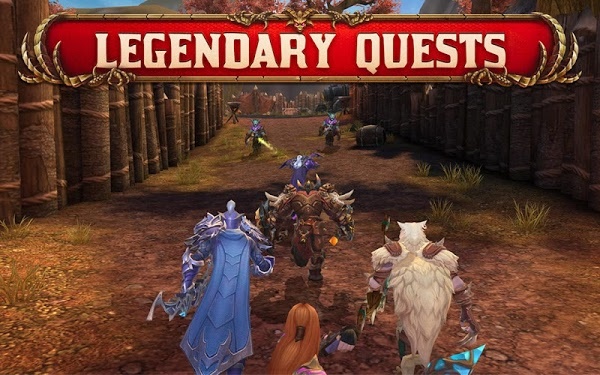 Crusaders of Light which wants to fully reflect the style of World of WarCraft on mobile is a super great MMORPG game from NetEase. Talking to the MMORPG is about World of WarCraft, a legend of Blizzard with incredible success spanning decades. It is because of such a huge influence that many companies wish to follow the footsteps of learning and reflecting on the value of this superstar. But that’s with the PC where developers have the full potential and the hardware to do that. With Mobile, that ambition seems impossible. But there is an arrogant name to challenge the impossible, a rookie has emerged on the Mobile platform. Yes, that is the Crusaders of Light belongs to NetEase. After the original NetEase Games release of Land of Glory in the mobile gaming market in China, NetEase Games has officially launched the English version of the game, called Crusaders of Light, for both Android and iOS. Looking through some first things about gameplay, Crusaders of Light gives players the choice of one of three classes, Warrior, Ranger, and Mystic. As the name implies, each class will feature a unique combat style such as melee combat, long range attack, and magic control. 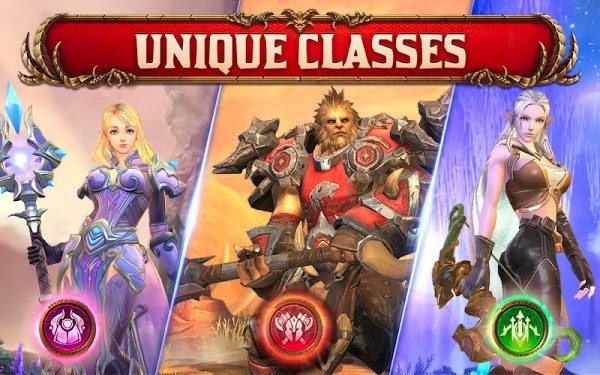 But do not rush into the small amount of Class because each character class can evolve into three different styles so we have nine unique fighting styles in the Crusaders of Light. For example, the Warrior can be a true wall with sword and shield, a monster machine with crazy damage, or a warrior that can attack long distances…All of the things show us the professionalism of this MMORPG game in the Class select system. However, almost spotlights are in the wonderful world of Crusaders of Light where players can go to travel and explore the land stretched seems unlimited. Bringing the value of a true MMORPG, the game lets you interact with whatever activity or player you want. the game map is also designed with a variety of routes and terrain, giving you the motivation to always move forward, completely different from today’s MMO when throwing players into the heartless landscapes. 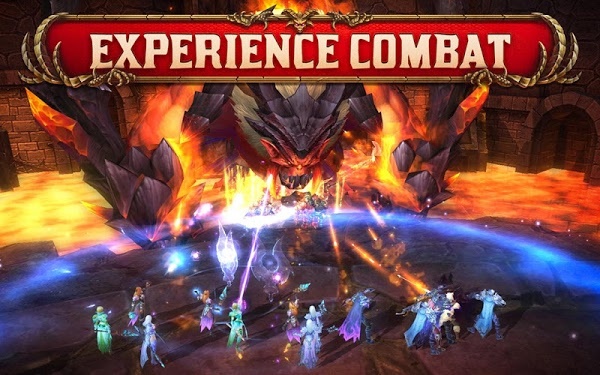 Crusaders of Light APK Mod allows players to choose between 2.5D or 3D viewing thanks to the flexibility of the camera that you can see the scene from all positions from close-up characters until a view that covers the entire scene around the character. The automatic way-finder and combat systems of the game is also very useful for those who want to play games and work at the same time. However, after a few days when you reaching a certain level, you must play the game by hand because monsters and bosses are stronger than before.In addition, the differences between low and high levels of graphics are small, so if you use the device is not high configuration should be Low to save battery as well as experience well, no lag situation. 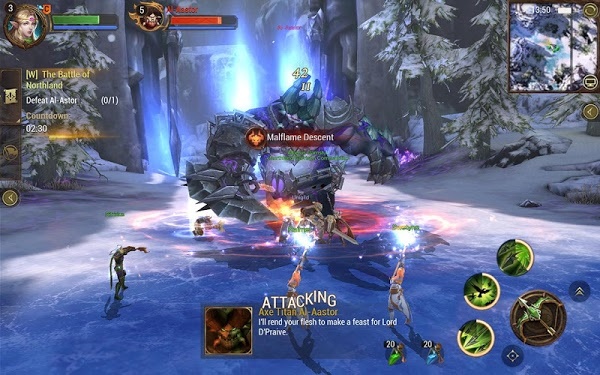 Crusaders of Light for Android also offers players a variety of exciting gameplay, countless unique features, as well as PvP games with varied modes, 1v1, 3v3, 5v5 or even 25v25. With the Voice Chat system, allowing players to easily communicate with each other, it is quite convenient to communicate but do not have time for typing.